McClatchy Newspapers writes "the US military set up a human intelligence laboratory at Guantanamo," the Washington Post details new classified military documents obtained by the "anti-secrecy organization" present "new details" of detainees whereabouts on Sept 11, 2001 and afterward and the Daily Telegraph reports that it has exposed "America's own analysis of almost ten years of controversial interrogations on the world's most dangerous terrorists." Months after news organizations reported the Guantanamo Files might be WikiLeaks' next release , the files are now posted on the WikiLeaks website . Nearly 800 documents, memoranda from Joint Task Force Guantanamo (JTF-GTMO), the combined force in charge of the Guantanamo Bay prison to US Southern Command in Miami, Florida. The memoranda do not detail torture or how detainees were interrogated. The reports from between 2002 and 2008 show how JTF-GTMO justified when to keep detainees and also when it chose to release detainees. In cases of detainees "released," that detainee's "transfer" is detailed to "the custody of his own government or that of some othergovernment." The reports represent not just JTF-GTMO but, according to WikiLeaks, they also represent the Criminal Investigation Task Force created by the Department of Defense to conduct interrogations and the Behavioral Science Teams (BSCTs) consisting of psychologists who had "a major say in "exploitation" of [detainees] in interrogations." 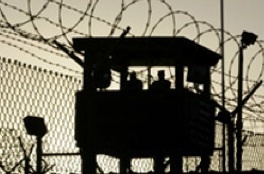 What is a Guantanamo file? First, the detainee's personal information is listed. That information includes what the US considers to be the detainee's name, aliases, place and date of birth, citizenship. The information also includes an Internment Serial Number (ISN). The second section describes detainees' mental health or physical health issues. The third section is a "JTF-GTMO Assessment." This section is where recommendations on whether a detainee should be held or released can be found. "Executive Summaries" in this section provide explanation for why a detainee should continue to be detained or released. The section denotes whether the detainee is a low, medium or high-risk detainee. And, under "Summary of Changes," whether there have been changes in the information provided since the last report on the detainee is listed. The fourth section is the detainee's own testimony detailing the detainee's background and how the detainee was seized and captured. The reason that [these reasons are] unconvincing is because, as former interrogator Chris Mackey (a pseudonym) explained in his book The Interrogators, the US high command, based in Camp Doha, Kuwait, stipulated that every prisoner who ended up in US custody had to be transferred to Guant�namo -- and that there were no exceptions; in other words, the "Reasons for transfer" were grafted on afterwards, as an attempt to justify the largely random rounding-up of prisoners. A sixth section contains an analysis from the Task Force explaining whether the Force finds the detainee's testimony to be convincing. The seventh section presents an assessment detailing how much of a threat the detainee happens to be. This is another one of the more interesting sections of the reports because the "Reasons for Continued Detention" often come from statements from fellow detainees in Guantanamo or secret prisons run by the CIA where torture or other forms of coercion have been used to get detainees to talk. In some cases, detainees were offered rewards such as better treatment if they made statements on detainees in US military custody.